1. First, Sandra Oh and Jodie Comer gifted us with our favorite new pairing when they brought Eve and Villanelle's complicated dynamic to life in Killing Eve. From Villanelle's iconic pink dress to Eve telling Villanelle that she thinks about her constantly, Sandra Oh and Jodie Comer gave us some iconic TV moments this year. While Sandra may have received the groundbreaking Emmy nomination, the most memorable Killing Eve episodes were rooted in the dynamic Sandra and Jodie created on screen. Eve wouldn't exist without Villanelle and vice versa. 2. Each actor in The Haunting of Hill House brought their own incredible talents and reminded us how powerful an ensemble can truly be. It's very rare that you care for every single character in a TV show, but this year, The Haunting of Hill House gifted us with that rare occurrence. Every single actor gave a spellbinding performance and proved how important the relationships between all the characters were. These actors helped turn a horror TV show into a believable story about grief and family. 3. Cody Fern's portrayal of Michael Langdon in American Horror Story: Apocalypse rejuvenated the series in the best way possible — plus, we love falling in love with a villain. Playing a villain in Season 8 of a beloved TV show is no easy task, but Cody Fern did it so well that we're sad to see the character of Michael Langdon go. His ability to hold his own in scenes with Jessica Lange and Sarah Paulson was a testament to how talented he is. Michael may be gone, but we hope Cody continues to be part of the AHS family. 4. Sarah Paulson's ability to slip back into the role of Cordelia in AHS: Apocalypse solidified her as one of the best TV actresses in 2018. Not only did Sarah Paulson direct one of the best episodes of TV this year, but she managed to bring back AHS: Coven's beloved Cordelia in a fresh and exciting way. Plus, this is Sarah Paulson, so she also played two other characters flawlessly. 5. This Is Us revealing how Jack died remained one of the most talked about TV moments this year and it's all thanks to Milo Ventimiglia and Mandy Moore's work as Jack and Rebecca. The. Crock. Pot. This Is Us didn't slow down during Season 2 and seeing how Jack died only made us cry harder. While Milo Ventimiglia perfectly played Jack's heroic nature in his final hours, it was Mandy Moore's heartbreaking portrayal of Rebecca's grief that made this a memorable performance. 6. In The Good Place, William Jackson Harper continued to make Chidi one of the most relatable and lovable characters on TV. While the cast as a whole is extraordinary, William Jackson Harper's role as Chidi particularly stuck with us this year. From his romantic relationship with Eleanor to his shirtless moment, William Jackson Harper made us laugh and fall in love with Chidi's adorableness all over again. 7. Taking on the first female version of The Doctor was a massive undertaking, but Jodie Whittaker made this season of Doctor Who a memorable one. Jodie Whittaker waltzing into the Doctor Who universe in a trench coat and pants with pockets was arguably one of the best TV moments of 2018. The poignant stories showcased this season, namely the Rosa Parks episode, have only been elevated by Jodie's adorable and quirky turn as The Doctor. 8. Justina Machado made us both laugh and cry, so it's no surprise her work as Penelope in One Day at a Time made a lasting impact this year. One Day At A Time continues to be one of the best comedy series currently airing, but this year, Justina Machado took the show to new heights. While her comedic timing continued to be impeccable, it was the episode where Penelope dealt with her depression that was truly remarkable. Justina perfectly captured Penelope's highs and lows. 9. 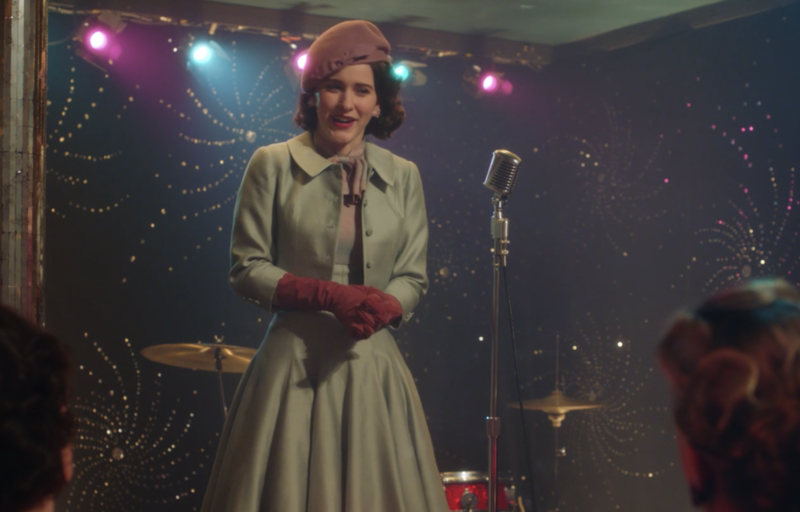 Rachel Brosnahan continued to amaze as the quick-witted Midge Maisel in the newly-released The Marvelous Mrs. Maisel Season 2. 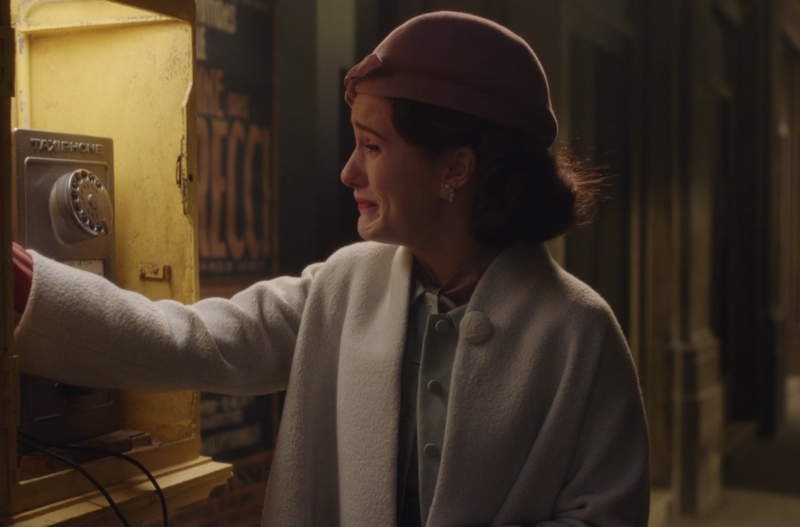 In the first episode of Season 2, Rachel Brosnahan goes from performing a hilarious comedy set in Paris to crying on the phone with Joel, and it was in that moment that we realized the full range of her potential. While we don't want to give too much away, Rachel and Amy Sherman-Palladino's iconic quick-witted dialogue full of pop culture references continues to be a match made in TV heaven. 10. In a TV show dominated by veteran actors, Eliza Scanlen's work as Amma in Sharp Objects left us speechless. For her first major acting role, Eliza Scanlen did not disappoint. Amma was the evil character you couldn't help but love this TV season. Eliza's ability to stand out during scenes with both Amy Adams and Patricia Clarkson only solidified what an incredible performance she gave this year. 11. Another crazy talented ensemble, the cast of Elite gifted us with one of the best teen TV shows in recent memory. The cast of Elite reminded us how incredible teen TV can be. This series wouldn't have worked without the incredible ensemble dynamic the actors created in each episode. You not only understood each character's motivations alone, but their relationships with each other were unmatchable. 12. Darren Criss's Emmy Award-winning turn as Andrew Cunanan in The Assassination of Gianni Versace: American Crime Story gave us chills from start to finish. Goodbye Blaine Anderson, because now every time we think of Darren Criss, we're reminded of his chilling performance as Andrew Cunanan in The Assassination of Gianni Versace: American Crime Story. His Emmy win was totally worth it this year as he portrayed a complicated antagonist that stole every single scene. 13. Elizabeth Olsen delivered a powerful performance in Sorry for Your Loss as her character Leigh struggled to accept her husband's sudden death. A lesser-known series this year, Sorry For Your Loss worked because of Elizabeth's ability to showcase every stage of grief. Even more impressive were the wordless moments where Elizabeth conveyed everything Leigh was feeling with just a single look. 14. Melanie Scrofano and Dominique Provost-Chalkely's sisterly bond as Wynonna and Waverly in Wynonna Earp had us both crying and laughing this year. In a show filled with demons, it's the human moments between the characters that make Wynonna Earp a great TV show. Melanie continued to perfect Wynonna's witty humor, while Dominique took the usually light and bubbly Waverly to some dark and emotional places effortlessly. However, it was Wynonna and Waverly's sisterly bond and the raw moments between Melanie and Dominique that left us utterly speechless this year. 15. While The Walking Dead has struggled these last few seasons, Andrew Lincoln's final moments as Rick Grimes reminded us why we fell in love with the show in the first place. We never thought we would live to see the day when Andrew Lincoln hung up Rick's iconic sheriff hat, but here we are. While the series has been met with mixed reviews in recent years, Andy's final episode that showed Rick sacrificing himself to save his family reminded us how much we love Rick Grimes. 16. Catherine O'Hara continued to prove why she's one of the funniest actors ever because Moira Rose in Schitt's Creek still made us laugh hysterically. In Season 4 of Schitt's Creek, Moira was ecstatic to learn that the internet thought she was dead and that was just the beginning of Catherine O'Hara's hilarious season. With every season, Moira continues to be one of the funniest parts of Schitt's Creek and this year was no exception. This is our official plea for a Catherine O'Hara Emmy nomination in 2019. 17. 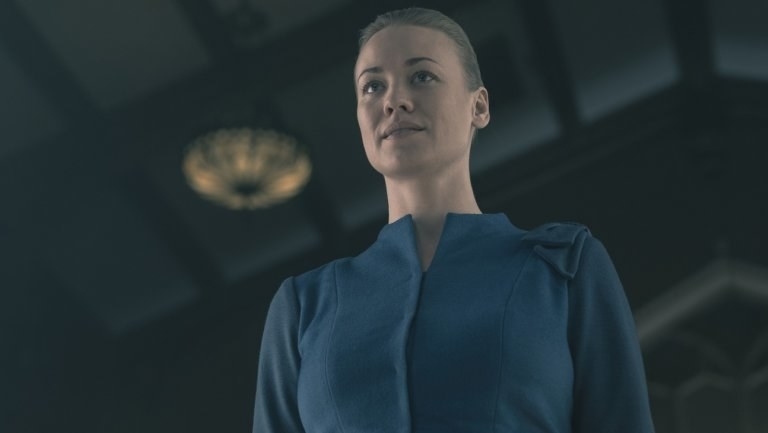 Yvonne Strahovski's ability to somehow make us feel for Serena Joy in The Handmaid's Tale remained one of the biggest TV shockers of 2018. Truthfully, there are no good characters in power in The Handmaid's Tale and that's why it was surprising when Serena Joy's storyline was spun in a somewhat sympathetic way. 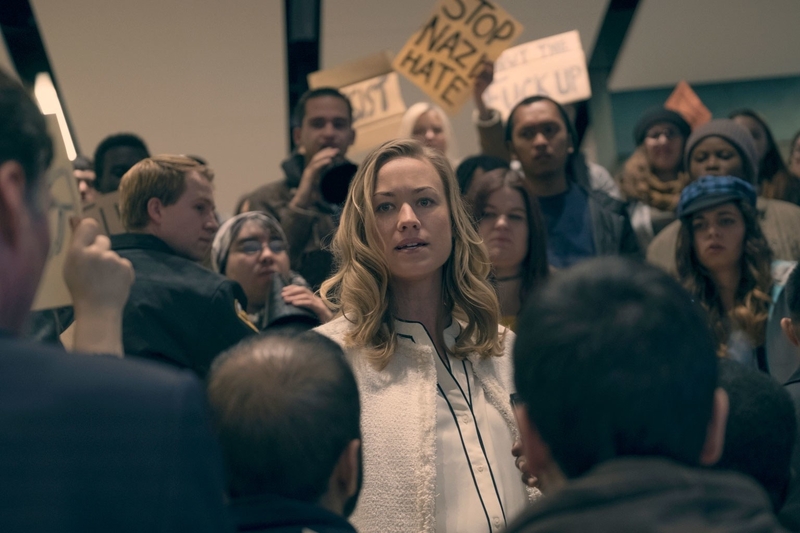 Yvonne Strahovski perfectly portrayed Serena Joy in a way where you didn't forget her horrible actions, but you were able to see a woman broken by a system she helped create. 18. Donald Glover, Brian Tyree Henry, and Lakeith Stanfield not only grew their respective characters this year, but they continued to amaze us as an ensemble in Atlanta. Atlanta continued to be one of the best TV series of 2018 and we have Donald Glover, Brian Tyree Henry, and Keith Stanfield to thank for it. Not only did the trio continue to work flawlessly together, but their individual characters excelled in more ways than one. We're in awe of all the talent packed into this single series still. 19. We're still not over the almost-cancellation, but despite it all, the cast of Brooklyn Nine-Nine continued to develop their characters in all the right ways. We almost lost them forever this year, so we have to celebrate the incredible work of the Brooklyn Nine-Nine cast. While remaining a cohesive ensemble series, the cast managed to develop their individual characters even more in Season 5. 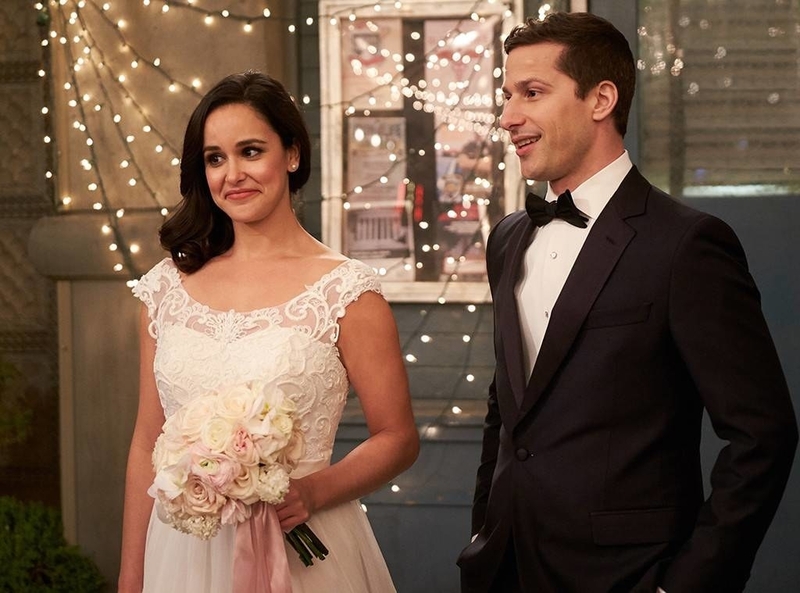 From Rosa's bisexuality to Jake and Amy's wedding, we loved every second with these lovable goofballs. 20. Andrea Navedo gave a heartbreaking performance when Xiomara was diagnosed with cancer in Jane the Virgin. A character that is usually the life of the party, Xiomara had to navigate the harsh reality of being ill, and it was brutal to watch. 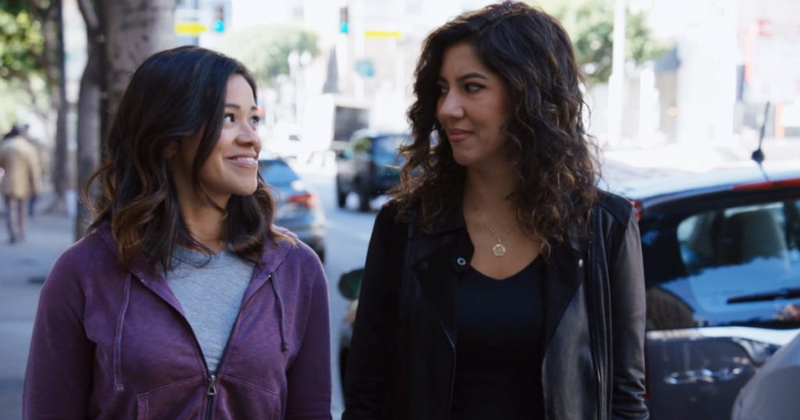 Andrea Navedo's work alongside Gina Rodriguez and Ivonne Coll further proved how powerful the female dynamics on this show are. 21. The Americans may have ended in 2018, but not before Matthew Rhys and Keri Russell continued to prove why this show was so damn good. A series that flew under the radar for a majority of its run, The Americans gave us memorable performances from both Matthew Rhys and Keri Russell right until the end. In the series finale, Keri delivered two heartbreaking, and almost wordless, performances, while Matthew proved time and time again why he deserved his Emmy Award for Best Actor in a Drama. 22. Sophie Skelton's work as Jamie and Claire's daughter Brianna in Outlander proved that, even on an established drama, the best is yet to come. While her best episodes of 2018 are on the horizon, Sophie Skelton has perfectly incorporated herself into the Outlander universe. Brianna's struggles with being a woman in the 1970s, navigating her relationship with Roger, and traveling back in time to save Claire and Jamie have beautifully played out on screen. Book fans know what lies ahead for Brianna and let's just say, Sophie knocks it out of the park. 23. Nothing on TV this year quite compared to D'Arcy Carden's work in an episode of The Good Place where she played Janet, Eleanor, Chidi, Tahani, and Jason. D'Arcy Carden continued to be amazing this entire year on The Good Place, but her defining moment came in the Season 3 mid-season finale. When Eleanor, Chidi, Tahani, and Jason are sucked into Janet's void, D'Arcy played each character flawlessly. She had every mannerism of each actor down in an Orphan Black-like tour de force. 24. Richard Madden's work as David Budd in Bodyguard proved that a lot can be conveyed with a single look. Richard Madden quickly made us forget about his memorable role as Robb Stark in Game of Thrones with just a single episode of Bodyguard. While the entire season showcased Richard's incredible talent to command a scene, the season finale in particular when David had to negotiate for his life after a bomb was strapped to him left us speechless. 25. And finally, only Michelle Gomez could make a character named Madam Satan in Chilling Adventures of Sabrina one of the most talked-about characters on TV this year. Madam Satan was equal parts evil and hilarious in Chilling Adventures of Sabrina and that's what made her so damn great. Michelle Gomez brought the same passion that she brought to Doctor Who to this role and we loved every single second of it. Honestly, Madam Satan's takedown of the patriarchy was a highlight of the year. What were your favorite TV performances this year? Tell us in the comments below!